Penguins are fun, playful and fascinating little animals that children just love! It’s no surprise that movies like Happy Feet turn out to be so popular. Penguins also generate lots of kiddie crowds at zoos and aquariums, and they have attracted even more attention following the 2005 documentary, March of the Penguins. Penguins are mostly found in the Arctic regions of the world, but did you know that you can find penguins in Africa too? It’s true! There are many great resources out there to learn about these fascinating animals. 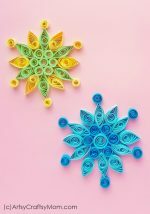 A great way to learn is by doing, so let’s get on with some really fun crafts that you can do with your kids to spark their interest in these cute little guys. Winter is the perfect time to teach your kids all about penguins, but it’s also Penguin Awareness Day on January 20, so this is the perfect opportunity! 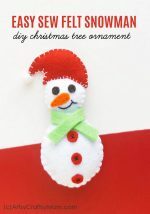 Grab a Styrofoam ball or any other ball to make this round and adorable penguin craft from Easy Peasy and Fun – toddlers, preschoolers and kids in kindergarten will love this project. This cute Paper Bag Penguin Puppet from Artsy Momma makes me smile! It’s super easy and fun and makes a great accompaniment to the book If You were a Penguin. 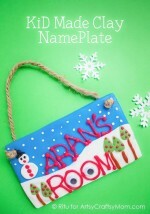 Get the creative juices of your kids flowing with this engaging and Arctic themed activity. This potato print penguin also makes for a perfect craft for show and tell in classrooms. Turn mundane wooden disks, coasters, plastic lids or even old CDs into these cute little hand painted fridge magnets from Heavily Edited. They’re perfect to gift, but are so cute you might just decide to keep them. Sure, it’s great to teach your little one about the virtues of recycling, but why not turn a dry lesson into an adorable recycled craft? Your child can use an old water bottle and a few other household materials to make her own eco-friendly pal, as shown in Education. Kids will have hours of fun putting on plays with their handmade penguin finger puppets. These easy-to-make felt puppets from Fantastic Find can be dressed up to represent any theme your kids can dream up! Cute little penguins welcome everyone to your home! These foot print penguins on an adorable canvas wall from Come Together Kids make a great gift for grandparents, aunts and uncles! Upcycle toilet paper rolls for this cute band of penguins from My Happy Crafts. They can even stand up on their feet… and walk in the snow! Turn your child’s hand prints into penguin feet for this adorable penguin craft from Crafty Morning! Fun guaranteed! This craft from Reading Confetti is a simple yet engaging paper craft for kids. 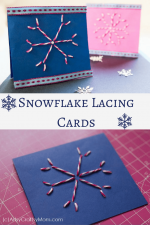 It’s perfect to learn about shapes and is great for scissor practice too. 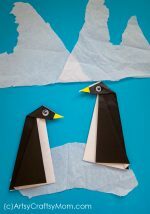 Your kids are going to love this penguin craft from Adventures of Adam! Turn a regular stone into a pet penguin – how cute! If it’s too cold to go out looking for stones you can check your local craft store for small bags of smooth pebbles. We’re pretty sure you can’t wait to make some cute little penguins of your own. 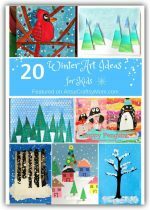 Most of these penguin crafts for kids will require things that you probably have already, so roll up your sleeves and dive right in!